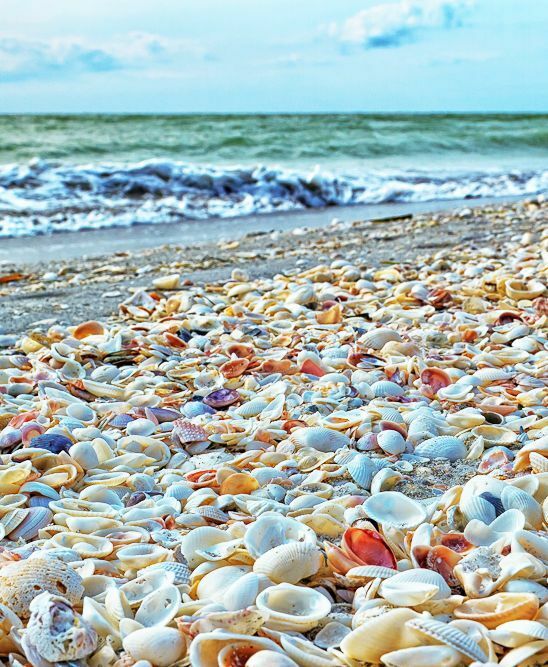 I think it’s safe to say, Sanibel Island, FL, has the world’s best shelling beaches. Photo by Anne McKinnell. 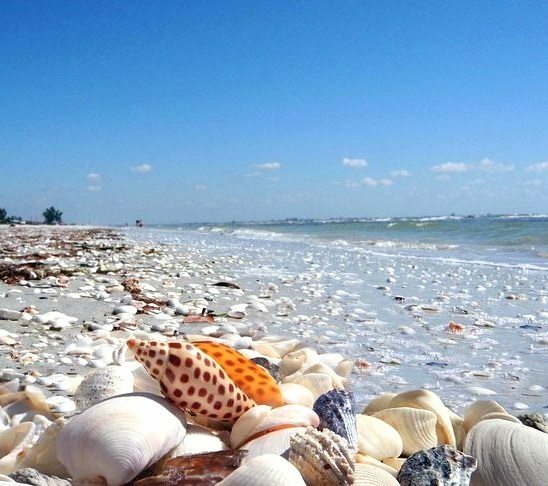 There are a few other shell beaches that make the top list, such as the one on St. Bart (Caribbean) and at Shark Bay (Australia), but none come close to Sanibel’s variety of shells. 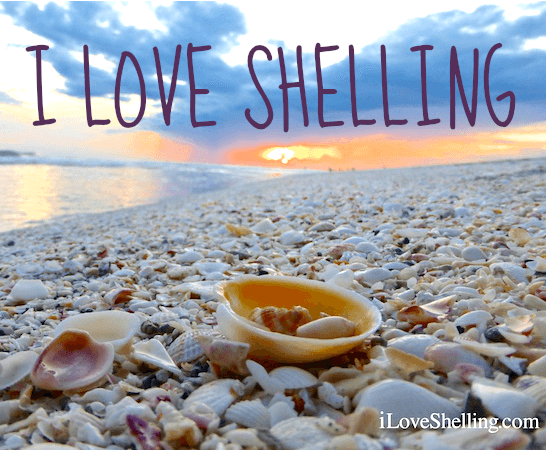 So let’s shellebrate Sanibel, a lush shell hunting paradise where waves and currents funnel hundreds of species of shells right onto the beaches! Photo by Anne McKinnell. Sanibel’s most coveted shell, the Junonia. If you find one you get to be in the local newspaper. So keep an eye out for brown dots! Photo by Jim Anderson. The legendary Sanibel stoop. 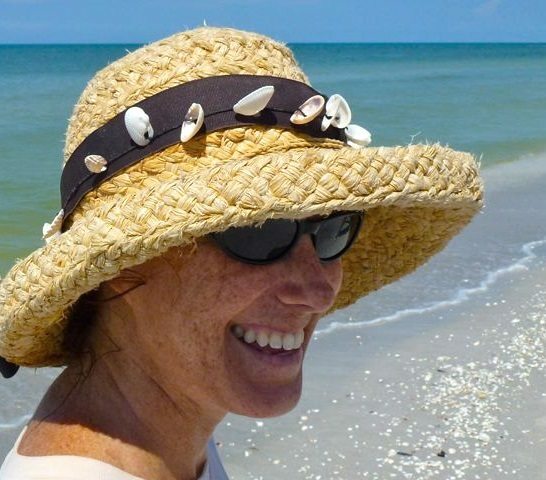 Get the Best Stoops as a Calendar from Pam Rambo of I Love Shelling! 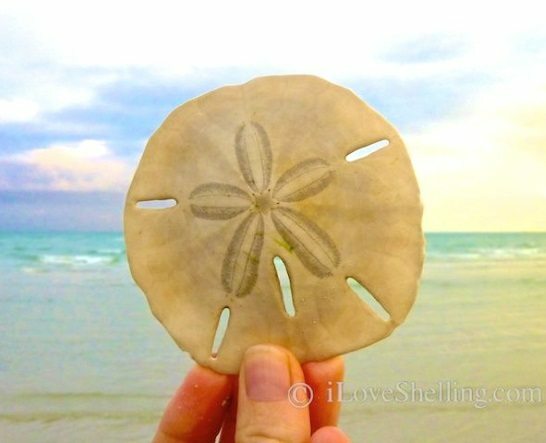 Pam’s blog is the go to place for Sanibel Island Shelling Tips, Shelling Adventures, and a sea of great photographs of beaches and shellers. Pam is quite a shell-ebrity! And she has some Hotel and Cottage Rental recommendations too! 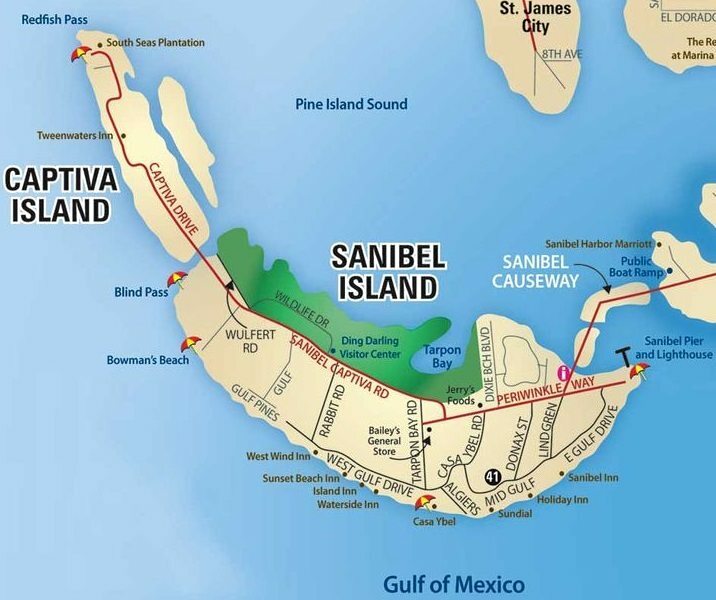 Sanibel island has 15 miles of beaches, 22 miles of bike paths, abundant wildlife and the largest undeveloped mangrove ecosystem in the country. 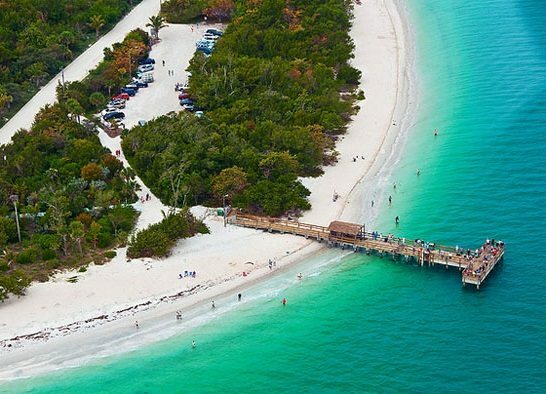 So there’s more to Sanibel island than just shells! Well, not technically. The island is actually made of shells. Photo by the Shell Lady. Sanibel fishing pier and lighthouse beach, one of the six public beaches on the island. You can bike to this beach on the Periwinkle pathway (you can see it on the map). 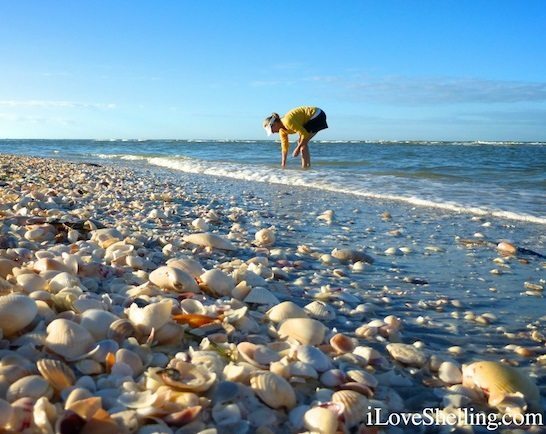 Lighthouse beach, along with Blind Pass (between Sanibel and Captiva) are the two top destinations for shelling. For more shelling tips and facts keep scrolling! Via Hotels Fairy. 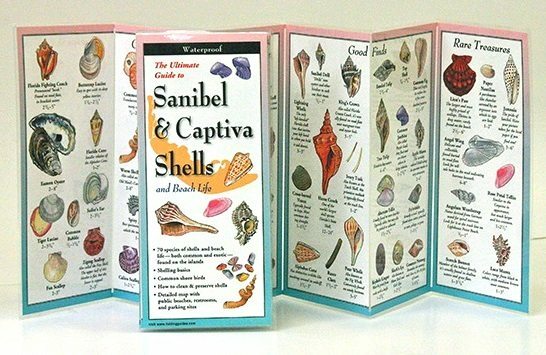 A super handy laminated Sanibel Folding Shell Guide. “There are days here when you have layers of shells four feet thick,” the director of the Bailey-Matthews Shell Museum said in an article by the New York Times. I hear the shell exhibits at the museum are fabulous! And they sell maps, guides and shell posters too. 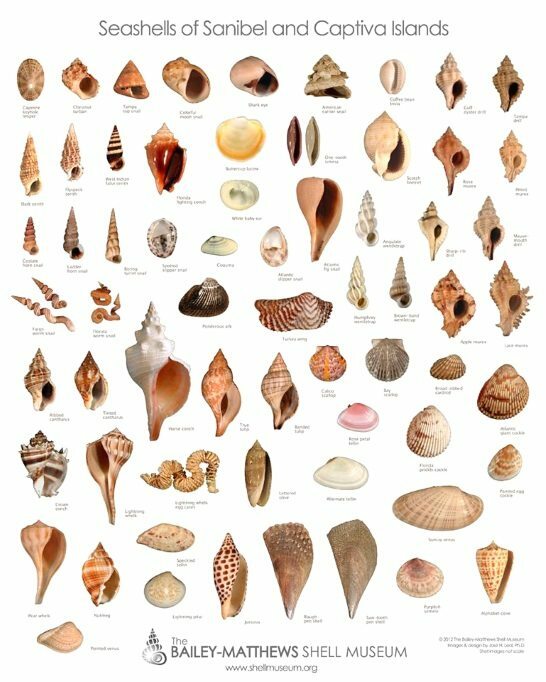 I love the shell specimen posters. There’s a nice one for sale, framed and ready to hang, at Ocean Offerings. A spectacular Sanibel Island sunset captured by Nature Study. Some people create shell art right on the beach. Via. 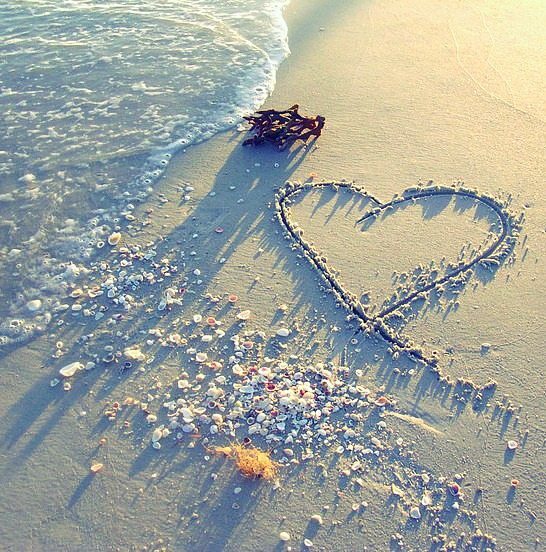 Do you heart Sanibel? Via Sanibel Arts & Crafts Fair. The east-west torque of Sanibel’s south end acts like a shovel scooping up all the seashells travelling from the Caribbean and other southern seas. The types of shells on the beaches can vary according to the time of year. Seashells are important to the island’s chain of life and it is against the law to collect live shells, same is true for neighboring Captiva island. The best shelling is during the winter, at low tide, preferably after a storm. 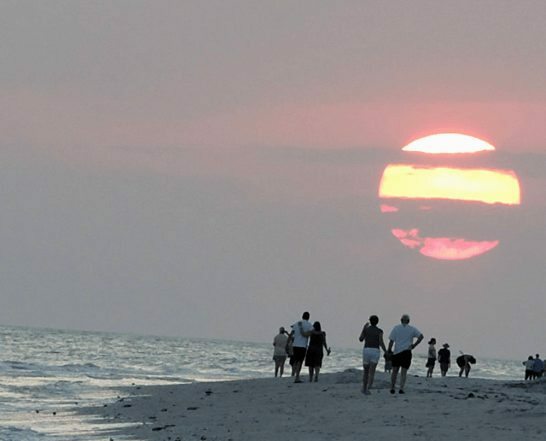 Up to 30,000 visitors come to Sanibel and its neighbor island Captiva each week at peak season (December to April). While on the hunt for shells, chances are that you will see dolphins and manatees. 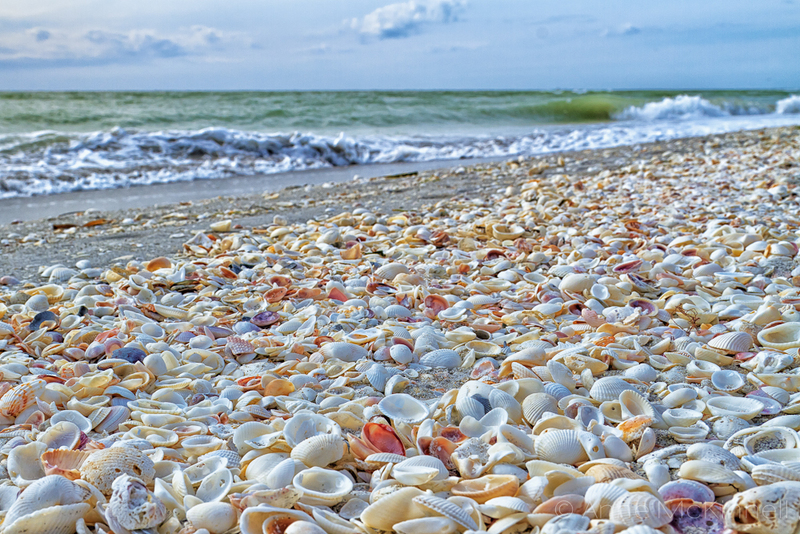 Sanibel island has an annual Shell Fair and Show that is held every March. 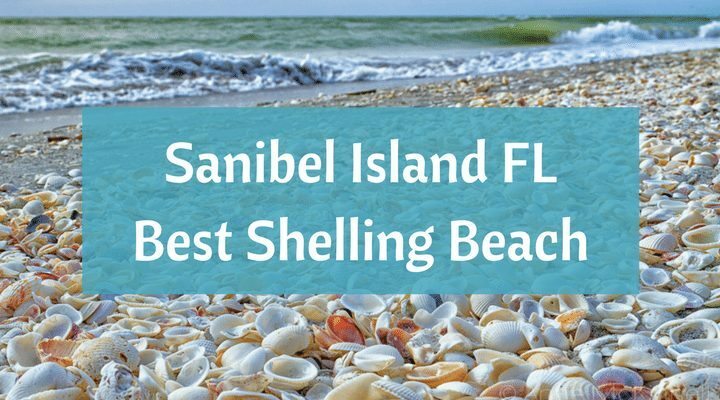 Since Sanibel is made out of shells, created by nature over thousands of years, when locals dig in the backyard they often find perfectly intact conchs, whelks, scallops and clam shells. Now let the Happy Shelling begin! 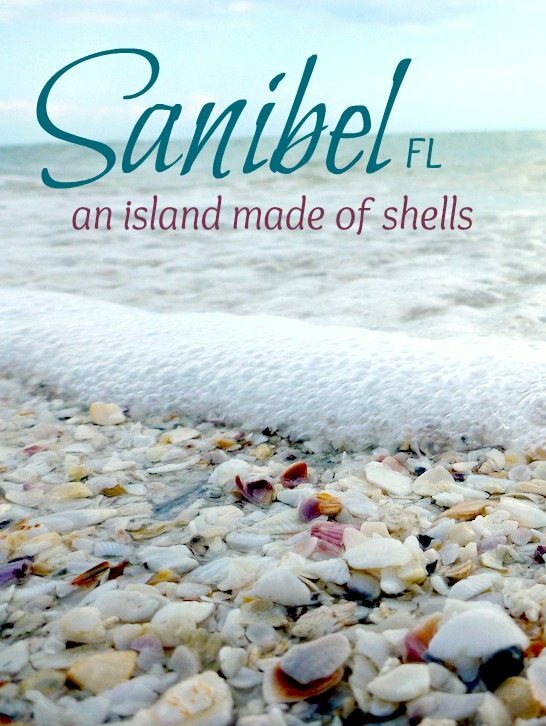 But wait, check out all the Sanibel Island Shell Crafts on my other blog Completely Coastal. 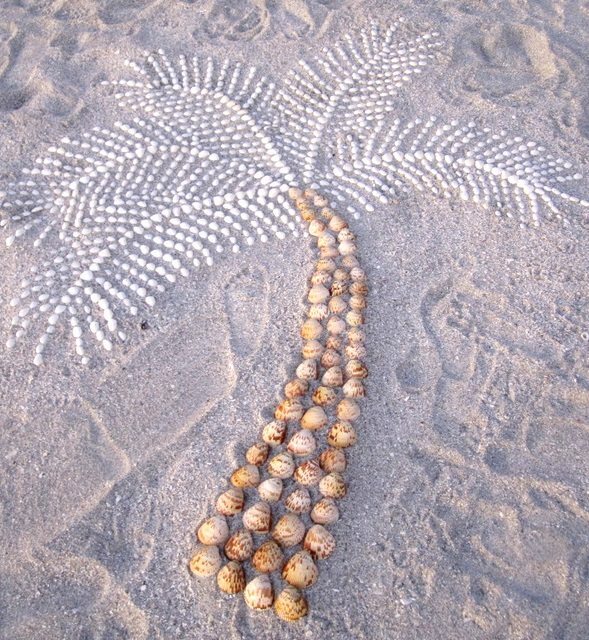 It’s amazing what people create with their Sanibel Island shell bounty! You might also want to revisit the Waterside Inn, those fruity colored rental cottages right on the beach in Sanibel. My husband and I own a few timeshares on Sanibel Island and wouldn’t trade it for the world! One day I aim to visit. It is one of my dream destinations. Just awesome. I am already a big followers of Pam’s blog to. Makes for some wonderful reading.